Thrills, spills, and cheating death are just part of an average day on a not-so-average summer vacation for these two smarty-pants siblings. 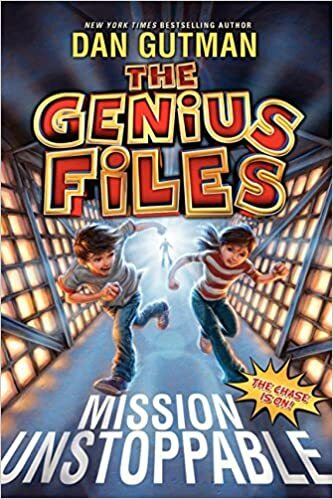 Coke and Pepsi McDonald are still stuck on the wacky family road trip that began in Mission Unstoppable, and now a brand-new evil mastermind is trying to kill them! Coke and Pepsi McDonald never asked to be geniuses. They never asked to get lowered into a basket of boiling french fries, either. And they certainly never asked to be frozen in soft-serve ice cream, stampeded in a wild stadium riot, or kidnapped on a high-speed roller coaster. But that's what happens when a red-haired villain named Archie Clone is chasing you across America. This just might be the most dangerous road trip in history - and the most awesome! Want to join in the fun? Fire up the old Google Maps and follow the McDonald twins as they get chased from the National Mustard Museum to the Rock and Roll Hall of Fame. And whatever you do - never say genius.